AFTCO, the American Fishing Tackle Company we all know and trust, recently introduced an entirely new outerwear and fleece clothing line. If these new products are anything like AFTCO's awesome gaffs, fighting belts and fishing gloves, I would not think twice about giving them a shot so I recently tested out the new AFTCO Horizon Weatherproof Fleece and I can honestly say that it's the real deal. 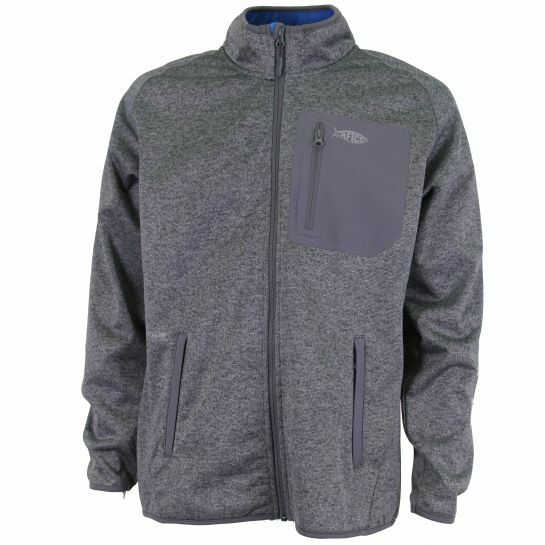 The Horizon Weatherproof Fleece‘s 100% polyester knit face softshell is windproof and waterproof (6K) while still being breathable thanks to its 1.5K breathable membrane. Additionally, it's also is treated with a C6 DWR finish. 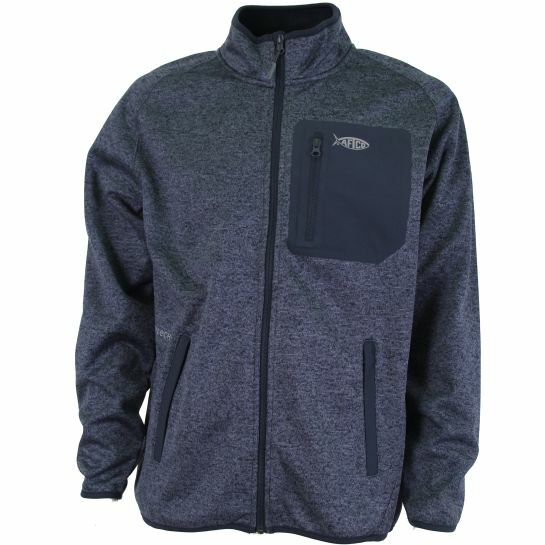 Other features include a comfortable contrast colored soft micro fleece backing, handy bonded poly/lycra chest pocket, laser cut hand pockets, durable YKK reverse nylon coil zippers and reflective AFTCO logos so you'll look good on the boat and in town. The result is a really light and comfortable jacket that is indeed 100% waterproof. I was out in several downpours and the water just rolls right off and I stayed perfectly dry. When you take it off and hang it up the water will puddle up underneath it just like raingear. 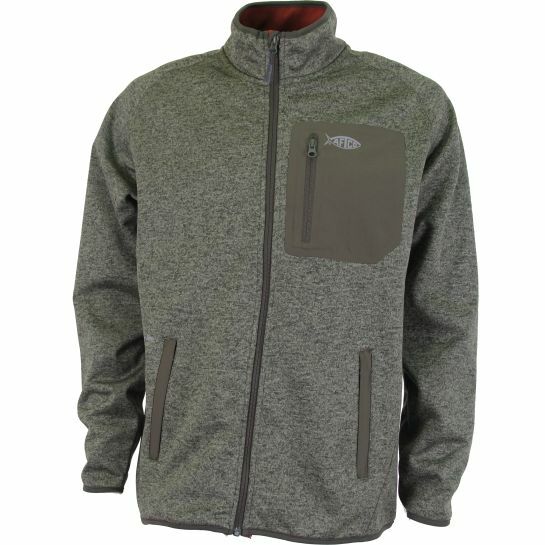 The AFTCO Horizon Weatherproof Fleece available in sizes from small to 2XL in charcoal, navy and olive colors. The jacket fits true to size so order the size you would normally wear. It's a quality piece of gear that would make a great holiday gift. The new PENN Slammer III reels are now being shipped to retailers across the nation, just in time for holiday gift shopping. A favorite among voters at the ICAST 2016 show, the PENN Slammer III won the Best Saltwater Reel award at the annual event. The new PENN Slammer III reels are among the best spinning reels in the market place and are destined to be a favorite among professional and recreational anglers. The Slammer III features the new IPX6 Sealed System to keep water out of the gear box and drag system in heavy spray and sea conditions. The Slammer III also incorporates the PENN proprietary sealed Dura-Drag system with washers that eliminate hesitation even under extreme drag settings. 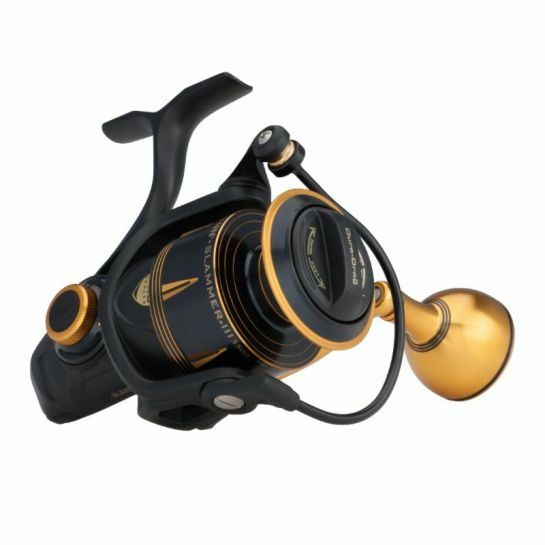 With the computer-controlled CNC gear technology system, the precision brass main, pinion and oscillation gears are individually machined for exact tolerances to provide the smoothest operation.The full metal body, sideplate and rotor house seven stainless steel bearings for a lifetime of fishing in saltwater conditions. Eight models of the Slammer III are offered to cover a wide range of inshore, near shore and offshore angling opportunities from the pier, beach or boat. Maximum drags start at 30 pounds in the smaller models to 60 pounds on the largest. The oversized reel handle grip gives the angler added control during the fight. The 3500 Slammer III is the smallest of the family weighing 13.9 ounces while the 10500 weighs 43.1 ounces.